Click the pic for a closer look. This time around in Mass and Class on the American Grid…Pretensions to Class include Christopher Hitchens and Black Thought of the Roots. Up From the Mass includes South Park and NPR’s Ira Glass. Genuine Class, Royal Copenhagen and School House Rock. Click the pic for a closer look. I enjoyed the Mass and Class on the American Grid graph from the January 1960 issue of Horizon Magazine article, The Cultural Class War so much that I decided take a stab at doing one of my own. 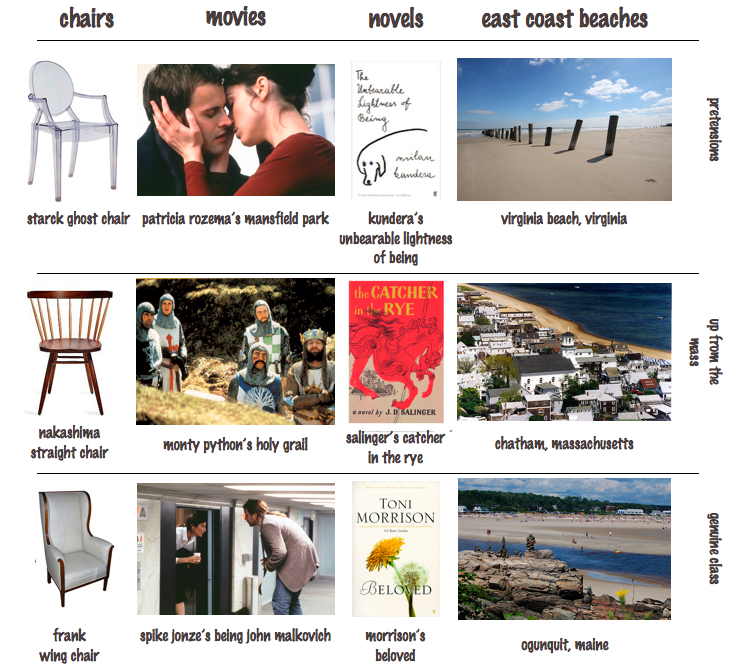 My first four cultural categories: Chairs, Movies, Novels and East Coast Beaches. The top row groups pretensions to class, which pander to those “yearning for finer things”. 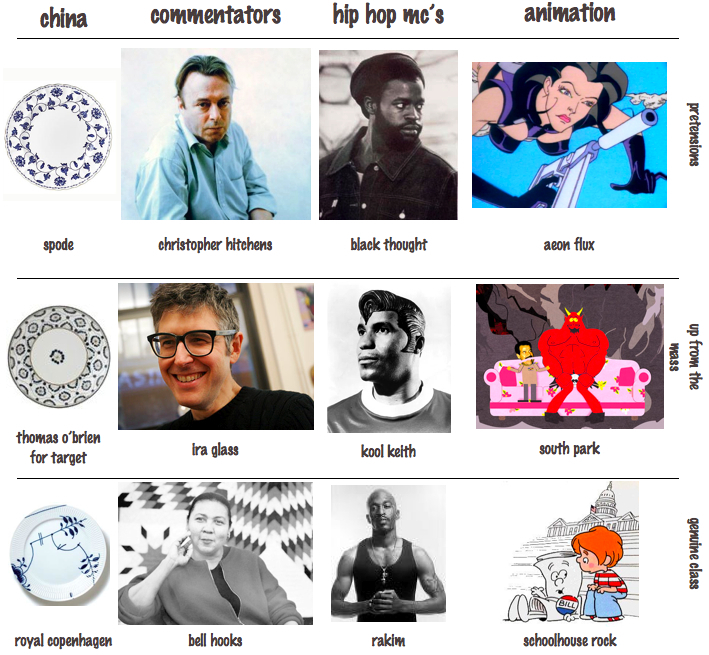 The middle row groups instances “where vernacular produces unexpected art”, up from the mass. The bottom row groups “the far-flung response to real quality”, genuine class. Next time around I’ll take on network television, political pundits and china patterns.